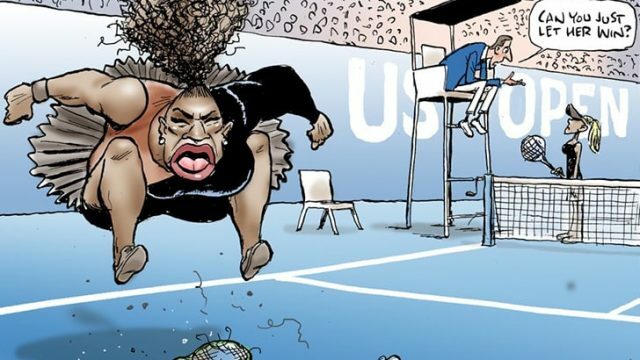 Mark Knight has claimed that his cartoon of Serena Williams wasn’t racist. But the history of the form makes that argument invalid. Today, another controversial cartoon hit the headlines and we angrily debated if it was actually racist. The hand responsible said no, but the implementation of the method makes it a certain yes, even if we give him the benefit of the doubt. 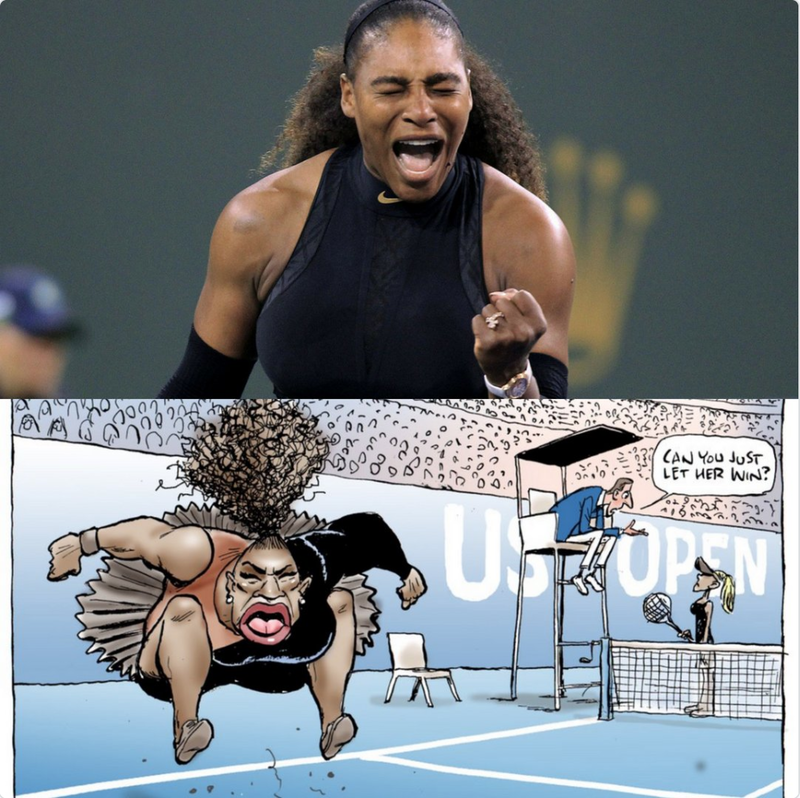 The cartoon is essentially a racial caricature, the use of elements that has little to do with the subject (in this case, Serena Williams), but rather the generally held concept of what her race is. It’s an over-the-top image, sure (as all cartoons are) but the reasoning walks from a rather ancient source. The idea of racial essentialism builds categorical thinking, in that certain races possess certain attributes. It wasn’t an accurate portrayal of the individual, but rather what their race was. This has taken many forms, but it’s why you see Jewish people depicted with large noses, Asians with buck teeth and why Serena was portrayed as a large, angry, simple mass of violence. It’s why you see colonial propaganda stand in this vein. It was all made in an effort to remove agency from the individual and paint them as the other. Something to be feared, subjugated and marginalised, because they’re not us. We’re not unique in this regard, but it’s a reason why history repeats. A great example of this is the infamous anti-Chinese propaganda, painting the wave of immigration as an octopus that will steal all the opium, cheap all the labour, and bring all the smallpox. They’re not playing by the rules. 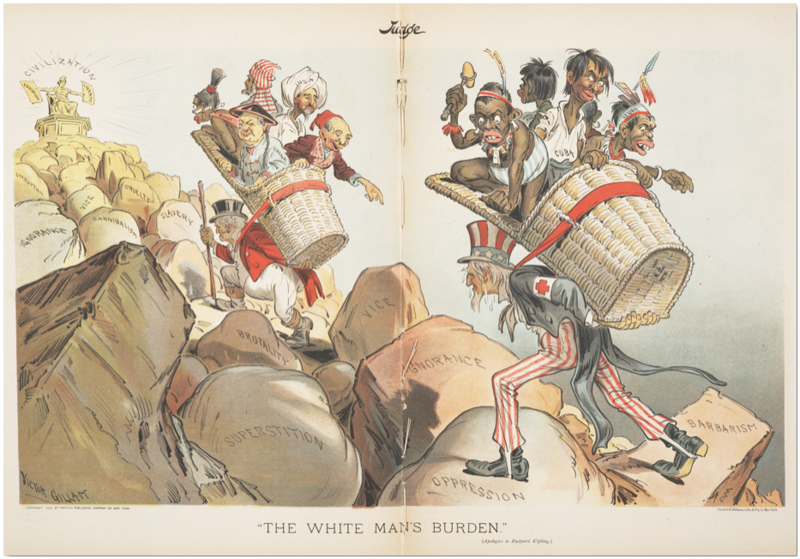 While that cartoon was published in 1888, it rings true 130 years later. If we gaze at Knight’s image, Serena’s mouth encompasses most of her face, an obvious parallel with the Jim Crow era depiction of Black America. This was recently alluded to in the video of Childish Gambino’s This is America, illustrating that the caricatured pantomime continues, and how easy it is for damaging racial tropes to re-enter the zeitgeist if we allow it. We’re just trying to do better.